These mandrel mounted radial brushes are great for deburing ,pipe cleaning and rust removal. 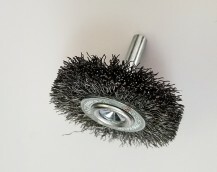 These mandrel mounted radial brushes come with 1/4” shanks. 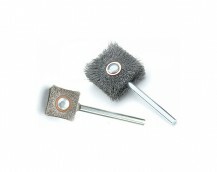 The utility cup brushes are great for cleaning and polishing large areas and flat surfaces. 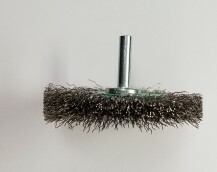 The utility cup brush comes with 1/4” shank. 1 1/2”, 1 1/4”, 2”, 1 3/8", 2 1/2", 3", 4"
These brshes are great for cleaning sides and bottoms of blind holes.